iPad - set to dominate? Gartner's latest research suggests that Apple is the best placed to take the lion's share of the tablet market in 2011 because of its dominance in apps, predicting that nearly 55 million devices will be sold next year alone. 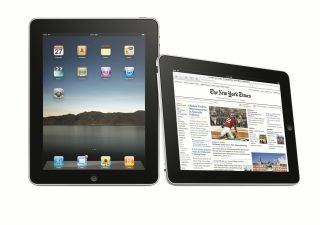 The success of the iPad has brought a slew of tablets from other manufacturers, many using the Android operating system. But Gartner believes that sales of 54.8 million on 2011 will not change Apple's dominant position, because of the success of the iPhoen and the iPod Touch. "But more importantly they contribute to the strength of Apple's ecosystem and the iPhone in a way that smartphone-only manufacturers cannot compete with,"
"To a developer, the iPod Touch and iPhone (and to a lesser extent the iPad) are effectively the same device and a single market opportunity. "While Android is increasingly available on media tablets and media players like the Galaxy Player, it lags far behind iOS's multi-device presence. "Apple claims it is activating around 275,000 iOS devices per day on average - that's a compelling market for any developer. And developers' applications in turn attract users." Gartner believes that the iPad and its likely successor will be the big sellers as people look to the biggest and most innovative application markets in the coming year. Of course, the market will be tested by the arrival of lower cost Android devices, as well as premium competitors like the Samsung Galaxy Tab, so it remains to be seen if iOS, Android or even a third option is dominant in tablets this time next year.